Near small fishing hamlets along the coast of northwest India, the blue-green sea is speckled with islands of mangroves. It’s as picturesque a setting as you’ll find, but on some days, the tranquillity is punctuated by a deafening sound: dozens of camels, like a fleet of furry ships, bleating and honking as they swim among the trees. The camels are followed closely by their human companions, who swim alongside the herd on small rafts, calling out to them and leading them to the islands where they feed on scrubby plants. Not only can the camels swim over three kilometres, locals say they can survive by drinking seawater. In fact, that’s where they got their name: “Kharai”, which means “salty” in the regional language of Gujarati. Joshi has spent decades working with local people in the district of Kutch, located in the western Indian state of Gujarat. He says saving the district’s 2,000 Kharai camels has everything to do with conserving Gujarat’s mangroves, which provide over 70 per cent of the camel’s diet. The good news for mangroves is that as the large-scale benefits of these ecosystems are better understood, the Indian government has become increasingly serious about their conservation, both in Gujarat and around the country. After losing around 40 per cent of mangrove forests in the 20th century, the government made mangrove conservation a national priority, designating dozens of mangrove forests as protected areas. 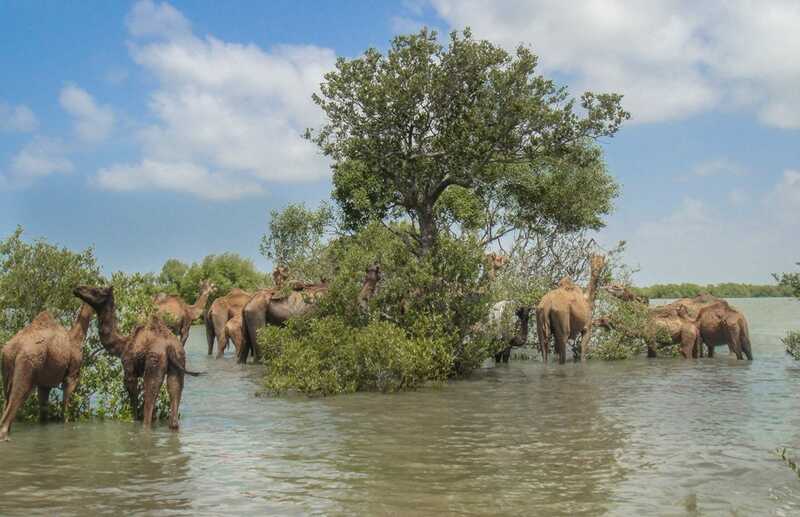 “Some of these conservation groups don’t want local people to have access to mangroves,” said Mehta, who has been conducting research in Kutch for 20 years. However, Mehta noted that the science about camels and mangroves is disputed and that more research is needed. According to herders interviewed by Mehta and Srivastava, development on the coast makes it very difficult to graze their camels. And while camels used to provide manure for local agriculture, over the past few decades, their services have been largely replaced by synthetic fertilisers. Local organisations, such as Sahjeevan and the Camel Breeders Association, are determined to save the camels. In 2015, the groups were able to get the Indian National Bureau of Animal Genetic Resources to designate the Kharai as a distinct indigenous breed of dromedary (one-humped) camel. Joshi says this designation allows Kharai to get special status as a threatened indigenous species in India. Last summer, Sahjeevan worked with local organisations to get camel milk officially recognised as an edible food item by The Food Safety and Standards Authority of India, which will make it easier for the dairy product to find its way to supermarket shelves. The camels breeders’ allies are also taking legal action. 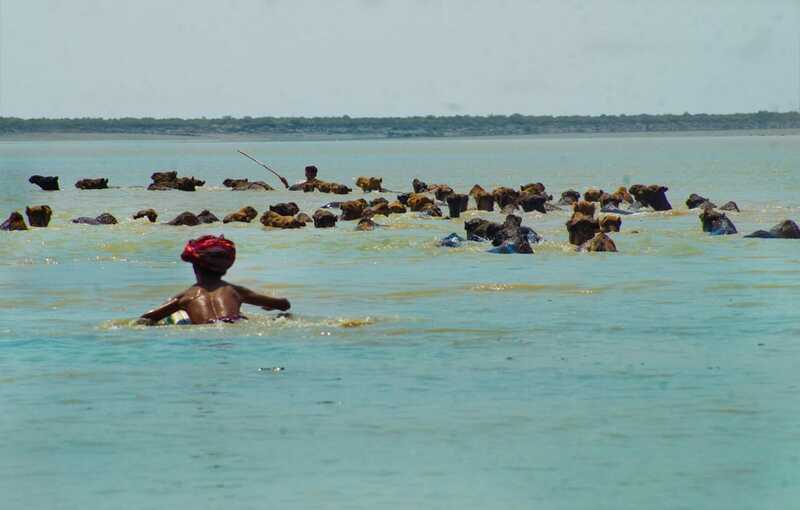 This past year, Sahjeevan and a camel pastoralist organisation sued local salt miners for destroying patches of mangrove forest, and were successful in stopping the industrial encroachment.